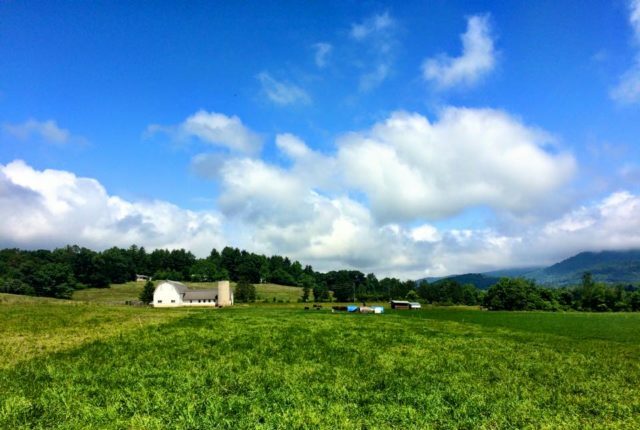 The Warren Wilson Farm realizes the College's philosophy of integrated work, community engagement, and academics. 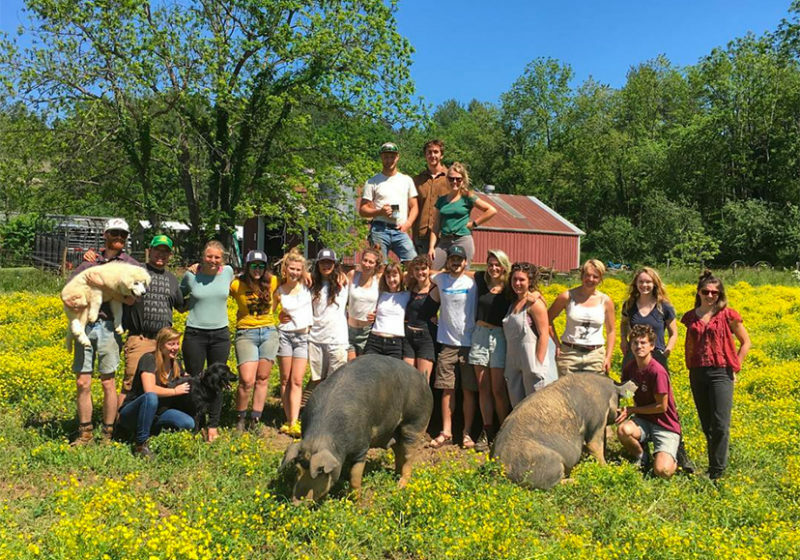 Our student-run, mixed-crop and livestock operation, although educational in nature, is a working farm with a commitment to sustainable farming practices. The Farm cultivates student leaders with a strong work ethic, continuing an agricultural tradition since 1894 in the Swannanoa Valley. Spring is almost here — time to place your order for this season’s batch of beef, pork, sausage, and bacon! 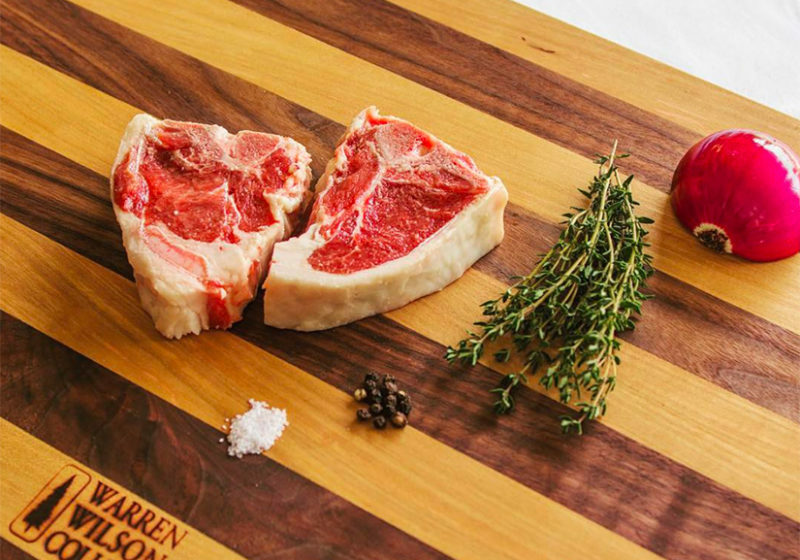 Our award-winning, 300-acre farm produces sustainable, pasture-raised beef, pork, poultry, and lamb — all run by students. 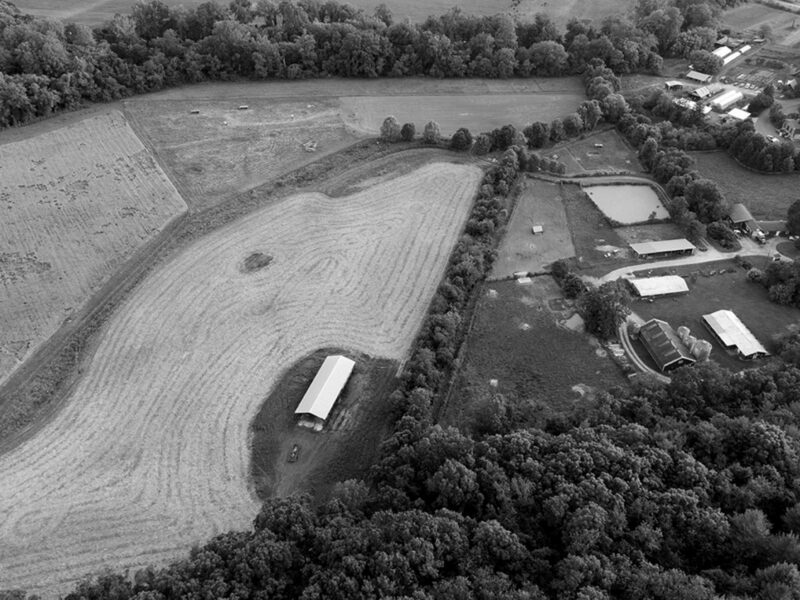 The Warren Wilson College Farm is a working farm. 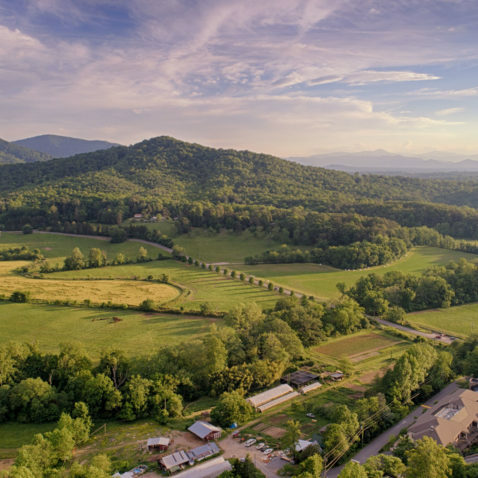 With 275 acres divided among 25 fields in the Swannanoa Valley, we are a diversified “mixed crop and livestock” farm, with beef cattle, hogs, sheep, and poultry making up the majority of the livestock. We strive to practice “sustainable agriculture” – systems that work with nature, rather than against it. Sign Up to Receive Meat Sale Information! 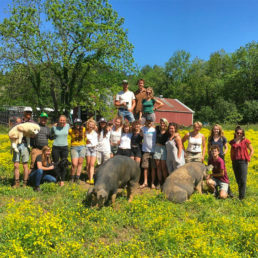 The Warren Wilson Farm is worked and supported by a student crew. It’s a living classroom, building expertise and character since its founding. 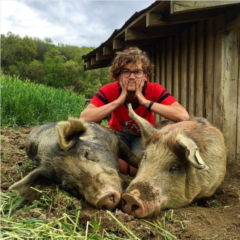 Learn more and meet the Farm Crew! We sell beef, pork, lamb and chicken during our Fall and Spring bulk meat sales. In these sales, meat is sold in bulk packages for stocking your freezer for the season. We may also host smaller freezer sales where you can buy small quantities of meat, depending on our inventory. Join our mailing list to get updates on when the sales are happening and to receive a copy of the order form. The college’s dining hall, Gladfelter, serves our beef, pork, and chicken on a regular basis. Every Monday and Thursday burgers are served for lunch, and on Fridays pork sausage is served for breakfast. Check the daily menu to see when other WWC products are being served. The College Bookstore has a freezer stocked with our beef, pork, lamb, and chicken. The available products will change with the seasons, so check back regularly if you don’t see what you want. We will also be attending the campus Farmer’s Market seasonally. The market is in front of the Gladfelter dining hall Fridays from 11:00-1:00. Of course! We are looking for more wholesale partners. Please email meatsales@warren-wilson.edu for more information. Our product ingredients can be found on our WWC Farm Product Ingredients info sheet. For more detailed information about our animals’ lives and our husbandry practices, please visit the beef, pork, lamb, and poultry pages. We are not USDA certified organic or certified GMO-free. Our practices are tailor-made to our Farm; we like to call it “better-than-organic”. Our beef and lamb do not consume any GMO crops. Our pork and poultry eat feed containing soybean meal that is purchased from a mill. We cannot guarantee that it is GMO-free. Making a gift to the Farm program is easy and means the world to us. For a general gift to the Farm, please visit the College’s giving page. Under “Designation”, select Farm from the drop-down menu. If you are interested in sponsoring specific equipment and infrastructure purchases, please contact farm@warren-wilson.edu for a current list of our needs. Our students have reputations as exceptional workers. To post a job listing, please email farm@warren-wilson.edu and provide a detailed description of the position. If you have a poster or flier made up, attach that to the email. We will forward to students we think would fit, post it on our jobs bulletin board, and pass it along to our Career Services department. We’re located at 701 Warren Wilson Rd in Swannanoa, North Carolina. The Farm is on the Service Road, the entrance to campus directly across from Riceville Road. The Farm Office is located at the end of that road. If you hit gravel, you went too far! We are the cluster of red buildings down by the facilities building, and the office is the one with a garage door. Yes, we love that people want to come and visit the farm! Please know that we can’t give tours without advanced notice. It’s important to us that you park in designated parking spots and that you remember we’re a real farm, not a petting zoo. The animals may be dangerous and you may not go in any of the pens, fields, or pastures when they have animals occupying them. Yes, during certain times of the year we can give tours to school groups. Please plan tours at least two weeks in advance. Tours may be led by a Farm manager, or by a qualified student, depending on your needs.